Congratulations to Professor Saibal Ray on being named a Member of the College of New Scholars, Artists and Scientists, Royal Society of Canada. This distinguished honour is conferred upon Professor Ray for his accomplishment in the study of social entrepreneurship operations and recognizes the impact that his research has made on society. The McGill community will celebrate Professor Ray, along with other award winners, at the 2017 Bravo gala this March. 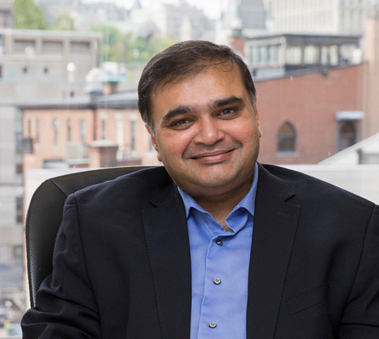 Saibal Ray of McGill University’s Desautels Faculty of Management is among the world-leading, new wave of management science researchers who attempts to link social and economic prosperity. His practice-inspired and interdisciplinary research focuses on ensuring equity, increasing productivity, and managing risks in global networks of both for-profit and not-for-profit organizations. He has published extensively in top-tier journals and has worked on creating value with organizations all over the world.